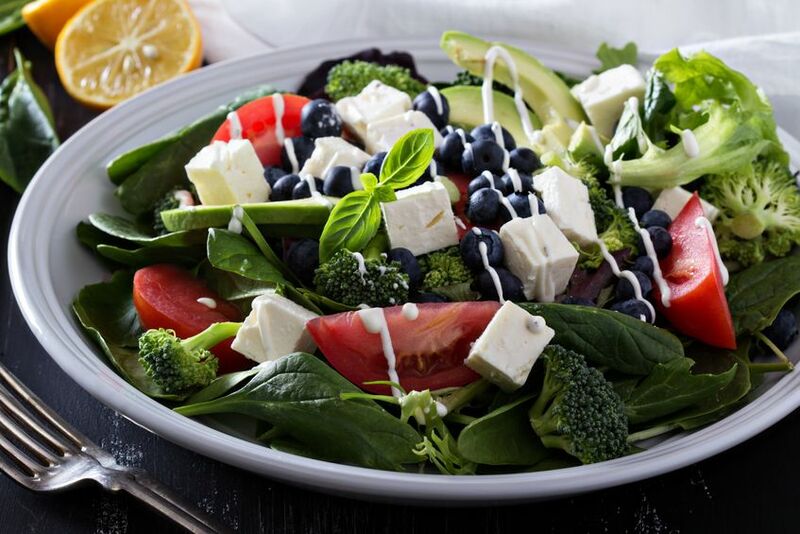 Avocados, blueberries, and kale, although there’s no legal or medical definition, are commonly referred to as “superfoods” — nutrient powerhouses that are packed with large doses of vitamins and antioxidants. 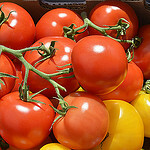 Eating them may reduce the risk of cancer, heart disease, and cell damage. While there are a number of foods that provide an abundance of nutrients and health benefits, we’ve pulled together a baker’s dozen of our favorites that are widely recognized as super, with higher than average concentrations of nutrients and can easily fit into your weekly diet. 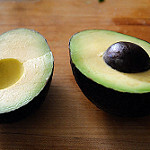 Why they’re super: Avocados aren’t only a delicious treat on a tortilla chip, they are also one of the most nutrient-dense fruits at the grocery store. They’re packed with fiber, folate, potassium, and vitamin E, and they’re loaded with heart-healthy monounsaturated fatty acids – same as olive oil. 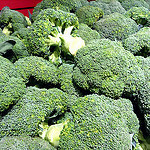 They’re known to help facilitate weight loss, lower chances of prostate cancer and help lower cholesterol. How we like them: Mixed in a Bowl as a yummy guacamole dip, added to our lunch sandwich, or on top of our salads. 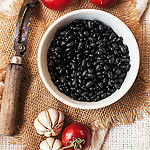 Why they’re super: Black beans are packed with protein, which makes them a great heart-healthy supplement for meat and a great complement for a low-carb diet. They fuel the body with fiber, folate, iron, magnesium, and potassium. 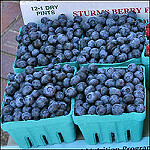 They’re great for maintaining a healthy diet, weight loss, lowering cholesterol, and regulate blood sugar levels. How we like them: Mixed with hummus for a yummy black bean spread on cucumbers, mixed with pico de gallo and eaten as a side dish or on top of our salads for some southwest zest. Why they’re super: Blueberries are not only delicious, but also loaded with antioxidant phytonutrients, which help with anti-aging and cell damage. They’ve been linked to reducing the effects of age-related conditions such as Alzheimer’s disease or dementia, protect against cancer, help with balance and coordination, improve brain function, and slow down the aging process. How we like them: With cottage cheese or yogurt as a healthy snack, in a whole wheat fiber rich muffin, or added to our ice cold drinks to add a little berry flavor. Why they’re super: The little green vegetable your parents hid under Velveeta cheese during your childhood is now gaining much needed ground as a beloved and healthy side dish, without any cheese needed. These green florets are a powerhouse of nutrients; they’re high in fiber, very high in vitamin C, potassium, B6 and vitamin A, and help increase metabolism, lower cholesterol, reduce the risk of cancer and detoxify the body. How we like them: Steamed with a little garlic salt. We also love to add them to mini quiche bowls for a light breakfast or lunch. 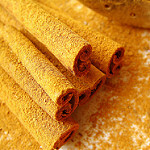 Why it’s super: Cinnamon is the little spice that gives! It’s best known for being sprinkled on toast or its rich aroma as an additive for apple cider, and has a long history as being one of the most powerful spices on the planet with shocking health benefits. It’s used to help treat muscle spasms, vomiting, diarrhea, infections, the common cold, loss of appetite, and erectile dysfunction (ED – Yep!). It’s also an anti-inflammatory, helps with diabetes, improves cognition, lowers cholesterol, reduces the risk of heart disease, and regulates glucose levels. How we like it: Sprinkled on toast, in anything baked, mixed with yogurt, or added to our tea or coffee. Why it’s super: Sweet, rich dark chocolate is a girl’s best friend. Who knew it’s loaded with nutrients that can positively affect your health? Score! 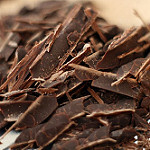 [Disclosure: it’s still high in fat, so consume in moderation] Dark Chocolate is known to be good for your heart by helping to reduce blood pressure, improves brain function by increasing blood flow to the brain, and good for your teeth since it contains theobromine, which has been shown to harden tooth enamel. How we like it: With red wine after a long day, with raspberries, or covering nuts or raisins for a healthy snack during the day. 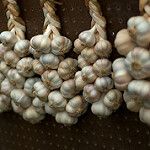 Why it’s super: Not just for warding off vampires, Garlic is used widely in the kitchen for cooking with its delicious flavor, but it also has some unique benefits. Garlic helps with hair loss, since it contains high levels of allicin, a sulfur compound which has been found to effectively treat hair loss, can help clear acne – if you’ve run out of your acne ointment, rub a sliced clove of garlic on a pimple for an effective topical treatment [we’ve heard it’s better than Windex], detoxifies heavy metals in the body, lowers cholesterol, reduces blood pressure, combats the common cold and flu, and even helps keep mosquitoes away! How we like it: With everything we cook. 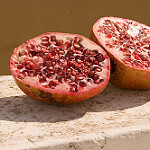 Why they’re super: It’s been said that it may have been a pomegranate – not an apple – as the forbidden fruit that tempted Eve in the Garden of Eden. This beloved fruit has been prominent in history and mythology, and not only is it unique in appearance, it’s loaded with nutrients that do wonders for the body. Pomegranates contain, punicalagins which are extremely powerful antioxidants, so powerful that pomegranate juice has been found to have three times the antioxidant activity of red wine and green tea. They’re also known for helping fight against cancer, lower blood pressure and cholesterol, protect against osteoporosis, and help the immune system. How we like them: When someone else does the dirty work. 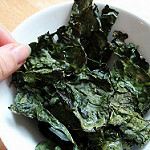 In fruit juices, dried or mixed in a dip. Why it’s super: Pumpkin, a fall favorite, is not just great from Starbucks or as a pie during Thanksgiving, it’s an extremely nutritional food and should be consumed throughout the year, but especially during the fall season. 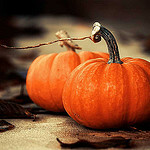 Pumpkin is a low-calorie fruit that’s high in fiber, anti-oxidants, beta-carotene, magnesium, potassium, and vitamin E. Its health benefits include: eye health by helping the retina absorb and process light, protection from UV rays, lowers the risk of cancer and heart disease, and helps to slow down the aging process. How we like it: In our Starbucks coffee, as a pie on Thanksgiving, and a flavored beer after a long day of work during the fall season. Why it’s super: Although we’ll always prefer Popeye’s favorite vegetable, spinach, when it comes to taste (which is also a superfood), Kale has certain health benefits that has us turning our heads and diving into the Kale bins at the grocery store. Deemed “queen of the veggies”, it has been linked to lessen the occurrence of a wide variety of cancers, including breast and ovarian cancer. It also lowers blood pressure, lowers risk of heart disease, prevents asthma, promotes bone health, and promotes healthy skin and hair. How we like it: Baked as chips or as the base for our stacked salad. Why they’re super: Once considered a fruit, in 1893 the Supreme Court stepped in and decided Tomatoes are actually a vegetable. Regardless, they are packed with tons of benefits for your health. Tomatoes are an excellent source of vitamin C, vitamin K, copper, beta-carotene, potassium, fiber, folate, and vitamin E. Tomatoes are good for your skin, since they contain a high level of lycopene, help prevent several types of cancer, help maintain strong bones, since they contain a considerable amount of calcium and Vitamin K, and provide essential antioxidants. How we like them: As a light snack with fresh buffalo mozzarella, mixed in our salsa, or on Sunday as a Bloody Mary. Why they’re super: Walnuts, the “King of Nuts”, although high in fat, are excellent for your health and should be consumed in small quantities – think handful doses. In fact, a handful of nuts about five times a week have been shown to reduce your chances of getting a heart attack by at least 15 percent and possibly even as much as 51 percent. 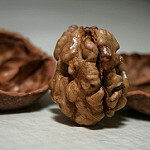 Walnuts have also been linked to help reduce the risk of prostate cancer and breast cancer, improve heart health, lower blood pressure, act as a natural anti-depressant, and reduce the risk of diabetes. How we like them: Plain, a handful as a snack during the day. Why it’s super: An excellent source of omega-3 fatty acids, salmon is not only tasty but is packed with numerous nutrients for considerable health benefits; plus, salmon is easy to prepare, delicious, high in protein, and widely available. Omega 3 promotes healthy joints and skin and reduces the risk of heart disease. 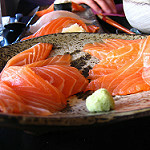 Salmon also helps in improving bone density, helps brain & eye development for infants during pregnancy, improves blood lipid patterns, lowers risk of diabetes, and reduces the risk of a stroke, helps reduces risks of mental disorders (Alzheimer’s and Depression), and supports heart and immune system health. How we like it: As sushi or grilled and topped on a salad.